With increasingly strict emissions regulations and ever more complex technologies being applied by automakers worldwide to improve fuel consumption and reduce CO2, the new Ricardo Vehicle Emissions Research Centre (VERC) will be an important enabler for the development of the next generation of clean, low carbon vehicles. It will be capable of researching and developing emission reduction technologies and incorporating these technologies into hybridized, 4-wheel drive, and advanced technology vehicles. 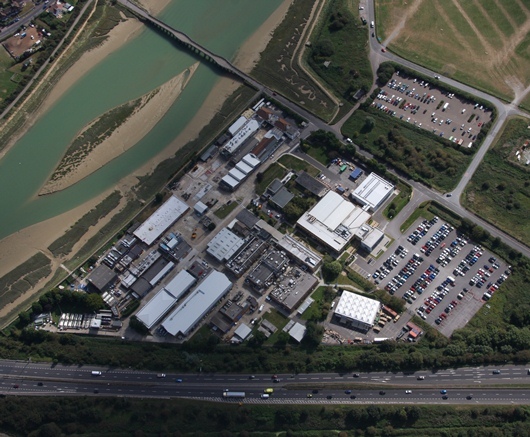 In addition to making a valuable contribution to the improvement of urban air quality and reduced greenhouse gas emissions, the VERC will help Ricardo maintain its globally leading position in green technology and promote export projects from its Shoreham headquarters. The development of the Ricardo VERC has been selected for part-funding under the £1.05 billion third round of the UK Government’s Regional Growth Fund, which is aimed at creating or safeguarding thousands of jobs over the long term, benefitting 130 projects and leveraging £6 billion of private sector investment. The announcement of the selected projects is to be made today by the Deputy Prime Minister Nick Clegg. "This cash injection for Ricardo UK Ltd is part of a major Government drive to create and protect thousands of jobs that will last in the parts of the country where they're needed most,” commented Deputy Prime Minister Nick Clegg. "For too long the UK economy has been focused on the City of London, ignoring places where business can thrive. The Regional Growth Fund taps into that potential, so that places like Shoreham-by-Sea and the surrounding area can benefit. "The Regional Growth Fund is working, on track and supporting businesses to create jobs and grow the economy." Ricardo UK Ltd managing director Martin Fausset added: “Ricardo is a world leader in the development of the type of clean, low carbon automotive technology that will enable the next generation of road vehicles to have lower emissions and be more fuel efficient than ever before. The award of funding for the development of our state of the art Vehicle Emission Research Centre under the UK Government Regional Growth Fund will enable Ricardo to continue to lead the world’s auto industry in this vital area and in doing so create and sustain high quality employment opportunities in this nationally important sector, many of such jobs being in support of export customers. “Ricardo has been an important part of the West Sussex coastal economy for almost a century, and this new development will help us to continue to fulfill this role and grow our capability in a globally competitive context. “I would like to thank our many local stakeholders and supporters for their advice, assistance and encouragement, which has helped our application for this funding to be successful."